Symposium participants were asked to give brief statements introducing themselves and their relationship to our subject. These statements are available below for viewing and downloading, in addition to essays by the symposium moderators. In December of 1911 in Munich, Germany, a small manuscript of just over fifty pages that had for several years lain untouched in its author’s drawer was published under the title Uber das Geistige in der Kunst. Much to its publisher’s surprise, the book was an immediate success and would be seen through two more editions within the first year of its public life. Thus began the legacy of Wassily Kandinsky’s classic—but also quirky, complex, and by most accounts problematic—On the Spiritual in Art, whose centennial is the inspiration for this project. Aside from its historical importance as one of the foremost documents in the history of modern art heralding as it did the arrival of abstraction, of what relevance is this book to us today? Do the words preserved in its pages hold interest for anyone outside a handful of Kandinsky scholars, historians specializing in first generation abstraction, or modern manifesto enthusiasts? Is the arduous process of wending one’s way through the text’s labyrinthine arguments sufficiently outweighed by the book’s rewards? And, perhaps most significantly, do today’s young artists have anything to gain from braving what must seem to them its endless litany of anachronisms? Whatever they may be, answers to these questions will no doubt involve—if not entirely depend upon—one’s attitude toward the book’s subject. For the subject of the spiritual and Kandinsky’s impassioned plea on its behalf are surely the reason the book has survived outside of academia at all. Kandinsky’s work certainly doesn’t need a manual to accompany it (indeed, many of his admirers have probably never even heard of the book), and for most contemporary critics Kandinsky’s metaphysical speculations and Theosophical leanings are simply a nuisance they would rather ignore. In commemorating the centennial of this strange little book, it is on this larger subject of the spiritual and its ever-shifting relationship with art that our sights are set, with one eye squarely on the future. One could hardly ask for a more fraught, problematic, and, in many circles, taboo topic in today’s art world. Why this is so is a matter of debate—and one whose facets I look forward to seeing unfold during our conversation—but that the spiritual has suffered a radical demotion within the art world over the last century can hardly be denied. If this was not clear to me before setting out on this project, it has certainly been rendered so along the way. It is no exaggeration to say that in describing the project to friends and colleagues over the course of the last year, ninety percent of the responses, even when sympathetic, have been inflected with an unmistakable tone of uneasiness, mixed with varying degrees of what I can only describe as pity, and frequently expressed by some variation of "That’s a tricky subject, you know…" It seems we are indeed, as George Steiner has suggested, in "the age of embarrassment about God, about the numinous, the collective unconscious; embarrassment about owning to our inner world, transcendental experiences, mysteries and magnanimities." My own feelings about the spiritual, though certainly sympathetic, are no less complex and conflicted than those of my colleagues. Although I have never made explicitly spiritual work during the course of my career as an artist, I have always recognized that there is a spiritual aspect to my work and practice without which the work would utterly fail to interest me. Being a visual artist whose work is emphatically embodied and material, my sense of the spiritual begins with what Mircea Eliade has called the "hierophanization of matter"—the disclosing of the sacred in matter—and the pursuit of this elusive presence has formed a core around which the more manifest content of my work has revolved over the years. In recent years this more explicit content has moved increasingly toward an address of nature’s invisible codes, whose hiddenness evokes a sense of reverence for the unknown that, to me, is the essence of the spiritual. If I have remained largely silent on the spiritual dimension of my work, it has been because of my deep-seated distrust of much of the language surrounding the spiritual and of the various contingents on all sides that have rendered it suspect. Between the religious fundamentalists on the one hand, the perpetrators of New Age vapidities on the other, and the endless line of celebrities parading their latest spiritual exotica in between, the word "spiritual" has become laden with toxic associations. To utter it in unfamiliar company is to unleash a host of misunderstandings from which one has to painstakingly extract oneself if one wishes to be understood. But as wary as I am of the more disingenuous and intellectually offensive elements with which the spiritual is too often associated, I am even more troubled by the pervasive cynicism, or what I understand as the total capitulation to meaninglessness, that has become the burden of our time. Amid the free-floating signifiers of deconstructive postmodernism and the wave of entertainment that has washed over the larger culture, the absence of meaning has become a haunting presence. But of course meaning itself hasn’t gone anywhere; it is rather our collective belief in its possibility that has suffered a blow. With the waning of belief in the various institutions (both religious and otherwise) that have been the object of much postmodern critique, art has become more self-conscious and critical—and concomitantly, it often seems, strangely diminished and denuded of soul. Surely art can be meaningful in a way that is independent of any system of belief, any grand "meta-narrative," but does this necessarily entail a renunciation of meaning in any but the most local and superficial sense? My own experience belies this necessity. To me, the greatest art is meaningful in a way that wholly transcends logic and language, that engages one’s whole being, and that addresses itself to what Donald Kuspit has called the deepest interiority. When art does this, it is transformative; some unnameable shift occurs in some conceptually inaccessible place in your being, and although it defies either description or proof, you are certain of its import. This, to me, is art’s spiritual dimension—and its necessity. For Kandinsky, of course, the spiritual meant something more grand, more cosmic, and more totalizing (although, curiously, nowhere in his text does he give the reader a clear definition of his subject). Kandinsky’s spiritual, thoroughly steeped in the Russian Orthodox Christianity that was his heritage, was essentially religious, and as such was replete with a host of dualisms, both explicit and implicit. Of these, that of Spirit and Matter figures most prominently, for Kandinsky’s sense of the spiritual was predicated on the transcendence of the material world, which he saw as debased and devoid of meaning, in favor of the inner, subjective world of the individual (what he called the "all-important spark of inner life"). It seems clear that Kandinsky saw matter as something to which the human spirit was unjustly bound and from which it had to be released in order to realize its immanent (and, for him, imminent) potential. Whatever we may think of the teleological worldview implicit in Kandinsky’s sense of the spiritual, one can hardly deny the legitimacy—and the prescience—of his antipathy toward materialism. Is it not this same materialistic attitude, along with its attendant values and behaviors, that has delivered us into the environmental and economic crises in which we find ourselves today? One of the most pressing questions posed by revisiting Kandinsky’s enterprise is whether or not art has a role to play in the healing of humanity—a humanity that appears even more fallen and despairing than it did one hundred years ago. If it does, what kind of model can the artist adopt toward this end? In this, Kandinsky feels far from contemporary. Indeed, a good part of what makes his text feel so foreign to us today is the forceful, combative, and at times even agonistic tone of his rhetoric. The text is rife with military metaphors, implying that Kandinsky saw his role as that of "spiritual warrior," out to vanquish, as he put it, "the long reign of materialism, the whole nightmare of the materialistic attitude, which has turned the life of the universe into an evil, useless game." Contemporary religious fanaticism notwithstanding, today’s spiritual is a kinder, gentler species—one that tends to emphasize unity rather than divisiveness, peace rather than war, and ecological and holistic values rather than exalted metaphysics. But one wonders if, amid all the breathy, feel-good rhetoric in which so much of today’s spiritual is packaged, we might not have something to gain from an infusion of Kandinsky’s passion. It was exactly this fierceness, this intensity of vision, that made the strongest impression on me when I was first introduced to On the Spiritual in Art in college. As a young art student weighing the concerns of pursuing a career as an artist (and one on whose vulnerable mind "more sensible things" exerted considerable pressure), I found Kandinsky’s passionate insistence on art as crucial to the health of the inner life—not just that of the artist but indeed that of the larger culture—enormously inspiring. The idea that art could be something more than mere personal expression was pivotal in my decision to become an artist. For above all else, the example of Kandinsky’s artistic life is that of a ceaseless moving beyond: beyond the personal, the trivial, or the mundane in favor of a larger meaning; beyond the realm of appearances in search of the invisibles; beyond an art that had grown stale and decadent in pursuit of something more vital; beyond a worldview that had rendered the world meaningless toward of a renewal of meaning. Kandinsky was, in essence, a seeker. Is there a role for the seeker in today’s cynical art world? In the absence of any preferable alternatives, a renewal of seeking—in whatever new forms it may appear—may be the closest thing we have to an antidote to the prevailing cynicism. For what is the latter fundamentally if not the position of having arrived, of having found? To the seeker, it is not finding that is the purpose of his seeking but rather a life of participating in the mysteries—and of reveling in those moments when they pierce the veil and disclose themselves to him. If Kandinsky’s spiritual revolution ultimately failed, perhaps it is not so much a reflection on art’s innate power, or that of the spiritual, or even on Kandinsky himself, as it is a case of historical contingency. For although the reign of materialism has not changed much in the last hundred years, our ideas about transcendence certainly have, as have our attitudes toward dualism and the various mythologies by which modernism defined itself. I find particular promise in the movement that has taken place over the last few decades envisioning a worldview beyond the Cartesian dualism—the baleful separation of self and world, mind and matter, inner and outer—on which Kandinsky’s metaphysics was founded, and we have seen something of this in recent art that addresses our relationship to the environment, to nature. Whether or not a new, ecologically-minded spirituality will emerge as a significant counterforce to the current crises remains to be seen—and more provisional still is what art’s role will be in its realization. The thoughts I develop here are the results of observations and emotional experiences that have accumulated gradually over the course of the last five or six years. I had intended to write a bigger book on the subject, which would have necessitated many experiments in the realm of the emotions. Occupied by other, equally important tasks, I was obliged for the moment to abandon my original plan. Perhaps I shall never accomplish it. Someone else will do it better and more exhaustively, for this matter is one of urgency. I am therefore compelled to remain within the bounds of a simple schema, and to content myself with pointing to the greater problem. I shall consider myself fortunate if this pointer is not lost in the void. "For this matter is one of urgency": As true as this was one hundred years ago, it is even more so today. Given the current cultural, economic, and environmental crises threatening the world at large, a resuscitation and reformation of the inner life of our culture is an urgent matter indeed. If art abandons this task in favor of more frivolous or fashionable pursuits, who—or what—will take it on? It is toward this reclaiming of art’s deepest dimension that my sights are set. I will consider myself fortunate if, through our collective efforts here, we will have done something to illuminate Kandinsky’s pointer, to render it more visible to those in our century, and, ultimately, to create a new opening onto whatever lies beyond it. In the book that we are commemorating, Kandinsky argued that artists, in order to fulfill their promise as prophets and guides to their contemporaries, must move away from materialism toward the internal truth that is the currency of art—"the internal truth of art, the soul without which the body can never be healthy, whether in an individual or in a whole people." Writing in 1911, as he was making his own transition from representational to abstract painting, Kandinsky issued a call to artists to return to an art that recognizes inner meaning and the life of the spirit, rather than the materialist approach of "art for art’s sake" that he claimed was squandering the power of art to speak to man’s deeper nature. What meaning could such a call have for today? Is it possible, or even desirable, after the end of the so-called modernist project, to speak with any legitimacy about the "truth" of art? Undoubtedly, the idealism about the role of the artist and the universality of fundamental truth that underlies Kandinsky’s words has worn extremely thin in the intervening century. Yet leaving aside his idealism and the archaic language, the larger question that arises from a contemporary reading of his text—the question of whether and how contemporary art relates with the spiritual—is certainly worthy of consideration as we move forward into the second decade of the 21st century. As an adjunct to the open discussion that we are planning in the online symposium, we have chosen to feature the work of an artist who exemplifies a passionate commitment to making art that is not afraid to speak to the existence of an inner life. Nathaniel Dorsky makes films that explore the potential of purely cinematic language to communicate a direct experience of the ineffable nature of being. Obviously, I am wary of making such a statement, as it risks reducing a varied and complex body of work (which is by its very nature aiming to express something beyond the limits of language) to a simple slogan or concept that fits the needs of our project. Fortunately, Dorsky himself has provided a guide to his view and intentions in his book, Devotional Cinema (2003). Like the Kandinsky text that is the leaping off point for our exploration of the spiritual in art, it is a slim, potent text. In it, he outlines his views about the nature of the film medium and the potential for it (and by extension, all art) to evoke the mystery of human experience. He has said that he wants to make films that express what it is like to be—films that use seeing as way to express being. As he has stated in an interview, "The idea is not to take pictures of something, but to allow the camera to become of the world and have the screen simultaneously become of the world and become a world." Dorsky writes of encountering avant-garde films in the early 1960s, works that were discovering a language unique to film, "a language where film itself became the place of experience, and at the same time, was an evocation of something meaningfully human." This opens the door to the transformative potential of film, which in his view can positively affect the psyche of the audience, offering a potential opening to a deeper appreciation of our humanity. However, for film (or any medium) to achieve that level of expressiveness, it has to join the immediacy of visual perception with an appreciation of the material qualities of the medium. A key quality of film that Dorsky emphasizes is its metaphorical relationship to how we see. In effect, he argues that when we watch a film, it replicates our experience of vision; our eyes look out of our skull and perceive shapes—light and darkness that our mind interprets as the objects of a solidly existing world. This makes it possible for film to explore the tension between perception and existence—is what we see really out there or is it only an aspect of our mind? In Dorsky’s view, neither perspective is wholly accurate, and his films attempt to achieve what he terms a "transcendental balance" that can point the way to an acceptance of the "transparency of our earthly experience." Dorsky works in the tradition of the lyrical film, which, as P. Adams Sitney notes in his book Visionary Film, typically positions the filmmaker’s vision as the protagonist of the work. In such a film we are aware of the filmmaker’s presence and vision and have some understanding of how he is reacting to what he sees. In Dorsky’s films we are clearly aware of the intensity of his vision and his presence behind the camera as he seeks out the beauty and mystery inherent in the everyday world. Yet he manages to open up the form by working with the shots in a way that feels more collaborative than authorial, intuiting the internal voices of the images themselves and allowing them to speak for themselves. It is in this delicate balance between the filmmaker’s vision and the inherent energy of the individual shots that Dorsky demonstrates the strength of his discipline as an artist. Allowing each shot to "ripen" almost to the point of fullness, he draws the viewer into deeper communion with the image only to cut to the next shot, interrupting the viewer’s absorption and engendering a shift in perception, a gap (or break) in the viewer’s attention that brings one back to the present moment. It is as if the "shock" of the cut from one shot to the next, coming as it does at a moment of heightened attention, is the opening to an experience of direct perception, without logic, without preconception, without even a sense of oneself: just seeing what is. Writing of the artist’s potential to see something other than the purely material world (something less "solid," less "bodily"), Kandinsky attempted to articulate a position between matter and spirit, the material and the immaterial. That is where he located the work of the artist and the internal truth that he argued only art can discover and express. Nathaniel Dorsky works with the inherent qualities of film, using images of the purely material world to create work that points to the immaterial. And he is confident of its potential to communicate that experience to the viewer. At the close of his book, he states, "That the ineffable quality of vision can be expressed by projected light within darkness gives film great power. When a film is fully manifest, it may serve as a corrective mirror that realigns our psyches and opens us to appreciation and humility." I find Dorsky’s films to be a potent argument for the ability of film to speak to the spiritual aspect of what it means to be human. It is in that potential to continuously reconnect the viewer with a sense of presence (or "nowness," in Dorsky’s lexicon) that his films manage to speak to the ineffable, opening one up to an experience that transcends the purely visual and revealing the flickering balance between what is seen with one’s eyes and felt within one’s being. Whether such an approach can be extended successfully to other art forms and the work of other artists remains an open question. It is my hope that presenting his films in the context of this conversation will both enliven the discussion and perhaps point the way to further understanding of the potential role of art in the full expression of our humanity. With the colossal rise of technoscientific imaging technologies such as fMRI scans and computer-brain interfaces, visualizing the brain and its attendant nervous system has relegated the spiritual to a material cause. It is now possible to move a computer cursor with your mind. While aspects of being fundamentally human reside in the subjective: memory, imagination, intelligence, passion, it is the brain’s plasticity that transforms our thoughts and notions of the real. What role do illusions, perceptions and sensations play in the epistemological underpinnings of the ways images and thoughts function? How does this knowledge base interweave with "the spiritual?" In the 19th century, the quest for "the invisible," spurred on in part by the invention of the X-ray, was heralded in theosophical doctrines, diagrams of "thought forms," and spirit photography. Even earlier on, in the 12th century, Christian monks, fascinated by the science of optics, employed the prism as a material example of "revealing how the mind of God works: how His divine grace transmits just like light rays from an illuminating source," so explains eminent art historian Samuel Edgarton. Is there really such a thing as "the spiritual in art?" Is "the spiritual in art" a real illusion or an illusion of the real? In this conference I assume a materialist position with regards to the spiritual in favor of neuroscientific research, consciousness studies and image interpretation. As a child, I lived for three years in Egypt where my first introduction to art was climbing up the pyramid of Cheops and deep into tombs on the west bank of the Nile. It seems logical now that my work would focus on the relationship between essential, timeless geometric form and what Kandinsky called "inner need". This quest for "internal truths", for form that transcends culture and time while addressing, in a way, the opposite, personal experience, has possessed me since reading Kandinsky’s Concerning the Spiritual in Art. Reason/intuition, simplicity/complexity, chaos/order, micro/macro, perception and imagination, opposites play an incalculable role in the artistic process. Exploring polarities comes as close to a route to what Kandinsky calls "stimmung", or "vibrations of the soul", as I have yet to figure out. The artist is simultaneously creator, medium, and receiver. It is between that triad of guises that the artist circulates back and forth, hoping to communicate with higher powers. Art is what is left behind, tangible evidence of mental and material meanderings, and time well spent. Let music be the teacher. It’s a simple paraphrase of an often overlooked and underappreciated piece of advice from Concerning the Spiritual in Art. It refers to Kandinsky’s belief that music, which is inherently non-material and which has no great struggle with issues of reproduction of nature, was, at the time of his own painterly struggles, the most advanced form of art. I find his suggestion refreshing in a work that spends a lot of time serving as a spiritual cheerleader for the lofty "strivings" of the painter. His personification of one art form teaching another art form shifts the argument away from people teaching other people, an activity rife with didactic pitfalls. It is a shift that I find appeals to my students who perk up at the prospect of modeling themselves after music instead of a music teacher. I am also intrigued by the idea that Kandinsky does not automatically award the prize of "advancement" to the art form with the greatest struggle, as we might expect him to do from all the talk of lower needs and higher purpose. He simply says that music does it better. I was a painter freshly disenchanted with Pop Art and not yet convinced by Minimalism when I first discovered Concerning the Spiritual in Art. I was thrilled by its justification of abstraction, even though it read like a sermon at times. I skipped over the stilted prose and recognized the urgency of its delivery. Kandinsky had pitched battle on the field of representational art in a mood of revelation and apocalypse. Only Inner Necessity, the angel of light, could overcome Materialism, the dark agent of evil. He tested these forces in the privacy of his studio, like a latter day alchemist, with his diagrams of color relationships, temperature oppositions and e-motional effects. His search for the abstract grail was both modern and medieval. An artist, he said, should "train not only his eye but also his soul, so that it can weigh colors in its own scale…" (p.67). I found easy parallels in Abstract Expressionism as a movement poised like a deposed father figure for Pop and Minimalism. Who better to kill(? )… given its odd mix of formalism and metaphysical tendencies… but I still felt something like a heart beating in the older style—and that was a relief. The term Abstract Expressionist had first been applied to Kandinsky in Germany (1919). There was a kind of legacy. I was grateful to the prophet of non-objective art. He used his scholarship to champion play and intuition. Re-entering the book now I stop at the comment… "art is looking for help from the primitives" (p.32). I wince at the word, but not at the concept. Lifted out of context it seems bold and naked. It speaks to my later, present interest in Kandinsky’s study of ethnography. Although it is not openly acknowledged in Concerning the Spiritual in Art, it is shadowed in his arguments against the materialism of science. He thanks Madame Blavatsky for blazing the way, translating ancient Hindu mystical practices into Western Theosophical teachings. His assessment of her work seems inconsistent at first, but on closer reading the ambivalence proves carefully measured. Investigating the nature of reality beyond materiality he gravitated towards the invisible, the abstract and the esoteric. The prophet in him and in others was a source of strength and delusion, a most curious place of vulnerability and invincibility. Kandinsky’s struggle to balance worldviews, religion, revolutions in art and personal history yielded genuine insights but incurred some awkward associations and messianic misappropriations. More to be said on the hidden aspects of Kandinsky. *Because of her personal relationship with the artist and her professional history with his work, Deirdre Boyle was asked to write an essay introducing Dorsky's work for this project. Below is this essay. We have all experienced moments when we realize that what is happening is dividing our lives into the time before and time after this very moment. These are transformative experiences that change us forever. One that remains vivid for me was my first visit to the cave of Niaux in France, one of the few illuminated Paleolithic caves where visitors were still allowed to view the wall paintings by lamplight. With the long and arduous hike into the cool interior of the cave, I left behind the modern world and with it Walter Benjamin’s musings on the state of art in the age of mechanical reproduction. I had entered a time and space where the aura of art prevailed. When our small group arrived at the entrance to a high domed "gallery," our guide told us to lay down our kerosene lanterns. She took up one lamp, and in the flickering firelight, she illuminated the great Salon Noir where magnificent figures of ibexes, bison, and horses were painted on the surrounding walls. My first thoughts remain vivid to this day: these are not just paintings; this is the birth of cinema! The beautiful animal figures seemed to move in the intermittent light, a haunting representation of the living real bordering on the mysterious unknown. I felt with great conviction that there was nothing dividing me from the people who had painted these images. We may have been separated by thousands of years, but in that space, we were both present, artist and viewer, in the now. Whatever it was that made me a human being was what pulsed in the heart and soul of the painters of these magnificent friezes. I also thought of Plato’s cave and how early Greek philosophy rejected ancient religious practices, scorned for trapping reality in a flickering image world of appearances And finally I thought of my mother, a Sunday painter who more than anyone would have loved to be at my side to see these remarkable images in the firelight. I never got to tell my mother about the cave and its wonders. Within a few days, she had died of a heart attack. In the tumult that followed, I thought it was death that had changed my life forever, but looking back, I realize it was also the flickering images dancing on the walls: my mother had stepped outside of relative time into the eternal Now, which is where those Paleolithic artists and I had met in communion across millennia. Such art is capable of revealing to us who we are and what really is. This experience is what I seek in art, when the passage of time, which flows along unheralded and unexamined, suddenly shifts and I am brought into a heightened awareness of Being. Another way of saying this is that what I search for is the spiritual in art, an admission that still makes one suspect in any respectable gathering of art critics, curators, scholars or politically-correct academics. A few artists have led me to such profound moments of awareness. One of these is Nathaniel Dorsky. I first saw his silent 16mm films at the New York Film Festival in the late Nineties. I wondered why I had never heard of his work before, not knowing of his long history with the experimental film movement and why, with his film Triste (1996), he had broken a 15-year absence by screening his new, mature work. I was overwhelmed by his short, silent-speed films that seemed to leave one in an open-ended space of contemplation. Dorsky seemed to take us inside the image, obeying a logic of contemplation that I think has more to do with the inhalation and exhalation of breath than film theory. And his images, lasting anywhere from a few seconds to a few minutes, often seemed to contain entire universes—full of sudden surprises, changing emotions, shifts in light, focal length, and apparent content. Awe—a word that has become trivialized of late—is the word that best describes my response to his work. Wonder. Amazement. Delight. Seeing Dorsky’s films requires effort: they are not available on video or for streaming on-line. You have to watch them in the dark with a special 16mm projector that can be adjusted to silent speed—18 frames per second (fps). The rarity of Dorsky screenings produces a feeling of anticipation and pilgrimage for those who rent cars or take long train or bus rides to arrive at screenings in remote locations. There is also a sense of adventure, dedication, and purpose involved to going to see his films, and this contributes to the heightened experience of viewing his silent bursts of visual alchemy. The major part of my work is both silent and paced to be projected at 18 fps. (silent speed). To project my silent speed films at sound speed (24fps) is to strip them of their ability to open the heart and speak properly to their audience. Not only is the specific use of time violated, but the flickering threshold of cinema's illusion, a major player in these works, is obscured. It is the direct connection of light and audience that interests me. The screen continually shifts dimensionally from being an image-window, to a floating energy field, to simply light on the wall. In my films, the black space surrounding the screen is as significant as the square itself. Silence allows these articulations, which are both poetic and sculptural at the same time, to be revealed and appreciated. He also writes about the movie theater as an illuminated room, a space of darkness comparable to the Paleolithic caves or the Gothic Cathedrals, where we see the visual world "as self-luminous and resting on a profound vastness, the mysterious darkness of our own being." (26) For Dorsky cinema can make "the internalized Medieval and externalized Renaissance ways of seeing unite and transcend themselves" and thereby achieve a "transcendental balance" that unveils our earthly experience. Within this balance point the potential for profound cinema exists. (27-28) I hope that those who are able to attend this symposium screenings of Dorsky’s four works—Sarabande (2008, 15 min. 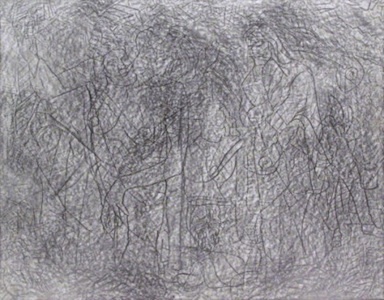 ), Compline (2009, 18.5 min. ), Aubade (2010, 11.5 min. ), and Winter (2008, 21.5 min)—will discover this healthy balance Dorsky intends. Each is a work of compassion, as filmmaker Warren Sonbert says. Dorsky’s brief yet suggestive comments about each title leaves much to the viewer’s own imagination. Whether the film arises out of a poetic or musical form or a monastic prayer, it can propel us to a moment of transcendence. See what happens to you in the cave of Nathaniel Dorsky’s sublime, devotional cinema. Today visitors are given flashlights to view the cave and its paintings. "Tone Poems," P. Adams Sitney, Artforum. Nov 2007, 46: 3, p.341–346. Daniel C. Matt, The Essential Kabbalah: The Heart of Jewish Mysticism, Harper San Francisco, 1996, p. 15. Nathaniel Dorsky, Devotional Cinema, 2nd revised edition, Tuumba Press, 2003. In film, there are two ways of including human beings. One is depicting human beings. Another is to create a film form which, in itself, has all the qualities of being human: tenderness, observation, fear, relaxation, the sense of stepping into the world and pulling back, expansion, contraction, changing, softening, tenderness of heart. The first is a form of theater and the latter is a form of poetry. At the time and for many years after, I was most interested in his later, more geometric works. I was impressed by what I saw as their rationality, and blissfully unaware of his ideas on art and spirit. To me those works looked like tomorrow’s illuminated manuscripts, quietly intoning the secret language of a mysterious future technology. I wasn’t a fan of his looser paintings, and tended to ignore them or dismiss them as early fumbling. I’m pretty sure that this take on his work was shaped by a strong childhood love for the fiddly geometric textures I saw in a lot of science fiction art during the late 1970s, particularly the starship illustrations of Angus McKie, the film design sketches of Ralph McQuarrie, and the matte paintings of Harrison and Peter Ellenshaw. I didn’t discover Kandinsky’s writings until college. At first, I strongly preferred Point and Line to Plane, because its sharp-edged illustrations and fussiness over fine points of detail (how is this angle qualitatively different from this slightly wider angle?) fit well with my earlier appraisal of his works. Eventually, though, I warmed up to On the Spiritual in Art, in the old translation by M.T.H. Sadler. This happened right around the time I first became interested in comparative religion and philosophy (and the common late-adolescent tagalongs, occultism and fringe thought). At that point, I was ripe to let his ideas on internal necessity and the secret language of the soul do their work on me. In the end, I didn’t accept his arguments as being broadly applicable to either art or spirit; many of his assertions on the meaning of shape and color fall apart the second you look at art from anywhere outside the world of post-classical European culture that formed the tunnel for his particular vision. Still, Kandinsky has always kept murmuring somewhere in the back of my head, and his ideas form a small but important part of my conceptual tool kit. At SVA, I teach a course about the influence of magical and meditative traditions on artmaking throughout history. Kandinsky is the cornerstone of a session on the role played by Theosophy and Anthroposophy in the rise of abstract painting, a topic once ignored almost completely by most academics. Although many people probably think of Kandinsky’s ideas as quaint and charming in a nostalgic, old-timey Modernist way, they still have a lot of life left in them, and they have a way of popping up in unexpected places. A few months ago, I discovered an illustrated Indian edition of Sadler’s Concerning the Spiritual in Art, in which a critic from Delhi named Rajesh Kumar Shukla presents his own comments on the book, and then interprets the works of thirteen modern and contemporary Indian painters and sculptors in light of Kandinsky’s beliefs. I also know of at least one self-professed Western avatar (Adi Da Samraj, a.k.a. Franklin Jones) whose abstract paintings and digital images of divine awareness have been discussed in relation to Kandinsky’s theories. Da’s inclusion in the 2007 Venice Biennale and a recent exhibition of his works at Sundaram Tagore Gallery in Chelsea say a lot about the surprising vigor and adaptability of Kandinsky’s century-old arguments. I suspect we’ll have them to kick around for a long time to come. I am glad to be in this very interesting company. I've read all the statements on the site, and we're a very diverse group. A couple of us didn't particularly enjoy re-reading the book, and some of us don't believe in the book's claims about art, empathy, or history. Others are concerned to bring the book forward, elaborate on it, bring it into the present. I think part of my role here may be as skeptic. I am never entirely happy when an art student tells me she reads Kandinsky, because that passion often goes along with a sense of art's power and efficacy which is grounded in a pre-War sense of international abstraction, and especially in the "Spiritual in Abstraction" exhibition that foregrounded those values for the generation reading in the 1980s and 1990s. In my experience young artists who are immersed in Concerning the Spiritual in Art tend to be somewhat disconnected from the driving themes of art since WWI, and especially since the millennium. There's also the question, for me, of what it means to re-read Kandinsky now. At the moment, the art world is buzzing with talk about affect theory. Artists and critics get their affect theory from several dozen very disparate sources, and the "movement," if it is one, has hardly settled on a single purpose or direction. But it does seem to gather around the idea that what matters in art is presence, presentation, phenomenological encounter, mood, non-verbal sense, and combinations of senses other than sight, rather than, for example, an intellectual or theory-driven encounter with the work in which a written text or discourse dominates the work's meaning. In the context of this forum, I wonder if the revival or reconsideration of Kandinsky now might not have a lot to do with this larger phenomenon of affect theory. To put this hunch in its most pessimistic form: is it possible that Kandinsky is an inappropriate example, a misplaced metaphor, for something that might better be called affect, and connected directly to contemporary interests? I purchased my copy of Concerning the Spiritual in Art by Kandinsky in 1965 in San Francisco when I was a student at the San Francisco Art Institute. I have now been painting, drawing, and making sculpture 48 years. I am 75 years old. My particular path is Rinzai Zen Buddhism, I took my lay monk vows in 2006. I am Kongo Hitsu Kaku Shin (diamond brush awakened heart). These statements of Kandinsky's as a painter are seemingly standing alone in 20th century art as totally sincere and they’re backed up with a lifetime of being true to its origins in his art. It parallels Brancusi's statement that "Things are not difficult to make, what is difficult is to put ourselves in condition (or a state) to make them," and the difficulty of getting to this point of view. Brancusi also stated "It is pure joy that I give you." Kandinsky said, more or less, "that is beautiful which is produced by inner necessity, which springs from the soul." He also said and wrote, "To each spiritual epoch corresponds a new spiritual content, which that epoch expresses by forms that are new, unexpected, surprising and in this way aggressive." A story goes that Kandinsky saw abstract art for the first time when upon returning to his studio one early evening he saw one of his Blue Rider paintings, turned upside down on his easel, turned by a cleaning lady. He saw the pure forms for what they suggested. The following texts I’d like to discuss within this symposium in terms of the spiritual in art in the 20th/21st Century. These are amongst the most crucial publications and museum shows in my view: Art and Design published Art Meets Science and Spirituality in 1990. This parallels Maurice Tuchman's show and catalog, The Spiritual in Art, Abstract Painting, 1890–1985 and the Senior Curator at the Guggenheim Museum, Alexandra Munroe's, The Third Mind: American Artists Contemplate Asia, 1860–1989 at The Guggenheim Museum, in which my work was included. "He must watch his own inner life and harken to the demands of his particular age." "Every artist, as a servant of art, has to help the cause of art." "But raising marble is evidence that number of men have reached the point where the one they would now honor formerly stood alone." "In every painting a whole life is mysteriously enclosed, a whole life of tortures, doubts, of hours of enthusiasm and inspiration." I look forward to the dialogue for this conference very much. My academic training is primarily in philosophy, especially aesthetic theory and German philosophy. In returning to Kandinsky’s Concerning the Spiritual in Art I find that I cannot help but think of pleasure. I certainly don’t mean the pleasure of reading the text, which is too strident and didactic, not to mention urgent, to afford much of that. And so I think pleasure in relation to the spiritual [das Geistige] not as some argument in favor of, or as an addendum to spirit—something pleasant heaped atop something else—but rather I’m convinced that pleasure has an absolutely emphatic identity with spirit. I take spirit in the same vein as Kandinsky, as referring to whatever it is that animates a thing, and by extension, what is best and most alive in it. Regardless what other names we use to identify the liveliest feature of a live thing, call it soul, mind, heart, etc., the thing we are most after is that which is and makes a thing alive. Thinkers as diverse as Edmund Burke and Friedrich Nietzsche acknowledged that life, in the forms it takes among human beings, cannot feel its own aliveness. Put differently: spirit cannot know itself, indeed it may not even have much of a sense of itself, let alone a grip on it. The urgency of Kandinsky’s Spiritual text is thus for me the urgency of spirit itself. In other words, I read him symptomatically, or one what might just as well say: spirit reads itself sympathetically. Kandinsky makes urgent the demand that spirit take its rightful place in the work of art, and by extension in human life. He wants art not only to be alive but for spirit to become the primary and pervasive feature of every new work of art. His call is for the reanimation of art and life. What else matters in the face of that need? Pleasure is the feeling of spirit as well as what spirit feels like. Pleasure feels not so much like the state of merely being alive as it is instead the feeling of something more than existence. That more, which is what might also be called aesthetic pleasure, is the feeling of life acknowledging its own existence as something beyond mere life, as spirit, as that which inheres in and makes human life possible. Kandinsky’s call for an embrace of abstraction in art is premised upon the acknowledgement that heretofore existing works of representational art could no longer sufficiently nourish contemporary spirit. But so too is abstraction an especially apt vehicle for spirit since it too shies away from the mistaken identification of life with any static, recognizable form. From long ago, I was a fan of Kandinsky. I have practiced Zen Buddhism for a long time. All of my works are the result and a process of Zen meditation practice. My work is my practice and pilgrimage. Zen has the same context as western philosophy’s deconstruction, but Zen makes one realize the logic of the world through experience. The reason for my Zen practice is simple. Zen makes me wiser, and it plays an important role in producing new discourse. My ON-AIR project Indala Series is a work that dismantles an important topic in Buddhism—transcendent wisdom. I am also currently working on a project called The Project–Drawing of Nature. The canvas itself accepts the physical changes of the environment. The phenomenon of a canvas itself accepting nature’s physical changes is the same concept as a microcosm and eastern philosophy’s objectivism, which sees all things as not different from the universe. These principles are an important key point of Eastern philosophy. I view Kandinsky foremost as a great theorist, rather than an artist. Of course, it’s not important whether he is a theorist or an artist. The question is, "How did he understand and think about the world?" Now, a century later, we only make inferences and analyze his words and the traces of what he left behind. I understand Kandinsky as a person who lived his life according to a framework similar to eastern philosophy. In particular, his book, Punkt und LiniezuFlache (Point and Line to Plane), has the same meaning as eastern philosophy’s concept of dependent arising—"everything is one and one is everything"—and the Buddhist concept of emptiness—"emptiness is form and form is emptiness." The inner necessity referenced in his book, Uber das Geistige in der Kunst (Concerning the Spiritual in Art), is an emphasis of an individual’s inner energy. Inner necessity has a broad relationship with the "psychic energy" of Carl Gustav Jung (1875-1961) and Martin Heidegger’s "Being-in-the-world." One person’s philosophy and ideology is not made up of one interest or influence. The genes inherited from one’s parents, the environment of one’s birth, the historical moment, one’s education, and the influence from countless important people in one’s life all play a part in building a new philosophy or ideology. This is where Kandinsky is. Especially, "the form of an object is always made complete through my inner workings. It is based in all psychological things and it is the foundation for the basis of aesthetics. The idea of tangible objects is irrational and furthermore, an object does not exist and cannot exist. Things that test me allow insight into my inner workings, or in other words, my life." After his 1912 publication, Concerning the Spiritual in Art, I turned to his 1926 publication, Point and Line to Plane. If Concerning the Spiritual in Art is a philosophical study about art, Point and Line to Plane contains his mature philosophical theory. It constructs the most fundamental unit in painting—the point, line, and plane—on a new level similar to Eastern philosophy’s concepts of a microcosm and objectivism. For a long time, when I was deep in the abyss of existentialism, Kandinsky’s essay on art was a clear fountain of water that slaked my thirst. In 2011, I wish to re-examine Kandinsky’s philosophical fountain through the most fundamental unit, in painting and in life—the point. I can’t be sure when and where I first noticed the spiritual in art. It might have been in a remote Romanesque chapel perched on a volcanic peak in central France. There was a little glass exhibition case protecting a little wooden crucifix with a carved and painted image of Jesus standing it seemed at ease, with total composure, on an acrobat’s bar provided for his convenience. Still and upright. Dressed in the simplest of robes. No agony, no drama. His face, his eyes reflecting such tranquility. It was a doll-like miniature, pouring love. Or, at about the same time, the initial encounter could have been through colored postcards of wall paintings in Etruscan tombs. Dancers, athletes, priests conducting ceremonies—and the horses with bright eyes, airy manes, eternal vitality. The artists had been dazzled by life, their art was a form of praise. I understood that visual art could—and must—record essential impressions, teach us in its silent way, preserve secrets from the past and the best intuitions of knowing individuals of our own time. I learned to appreciate the silence of imagery: it presents itself to mind and heart like a map settling over us. I went to school with Ananda K. Coomaraswamy, the art historian and interpreter of religious traditions. He, of all people, understood the spiritual in art, knew what occurs "when the perception of a work of art becomes a serious experience," understood that "art is a kind of knowledge" and that art "ought to be an epiphany of things unseen." I never knew him—he died in 1947—but I came to know his writings well. For years I belonged to him. Eventually I realized he had missed something. Among living artists, he cared only for Alfred Stieglitz and his circle; others he ignored or detested. The disorder and materialism of twentieth-century experience blinded him to the presence in contemporary art of the things he valued. Yet I could see that some artists of our time—well more than generally acknowledged—were working from the inside out. I longed to decipher their art. Kandinsky had issued the call, taught whoever wished to learn that even now there is a path from point and line and plane to metaphysical insight and expression. In my book An Art of Our Own: The Spiritual in Twentieth-Century Art—1988, kept in print by Dover Books under the subtitle—I followed Kandinsky’s lead with Coomaraswamy’s methods. I looked for meaning and spiritual context, listened to the artists, read their writings. It shone through unmistakably: the spiritual in art. I sat down once with Isamu Noguchi. "I don’t think that art comes from art," he said. "I think it comes from the awakening person. Awakening is what you might call the spiritual. It is a linkage to something flowing very rapidly through the air, and I can put my finger on it and plug in." His sculpture outdoors at the south corner of the Metropolitan Museum is stone calligraphy. You can perceive in it nearly the whole thing: Brancusi, Zen, the search for eloquent simplicity, the wish to be present and effective in this hard and deeply interesting world. Although perhaps prophetic, I don’t consider Wassily Kandinsky’s paintings or Concerning the Spiritual in Art pioneering when compared to other contemporary efforts, such as the work of Hilma af Klint, Rudolph Steiner, George Gurdjieff, or quantum mechanics. Rather than being a one-of-a-kind groundbreaking effort, Kandinky’s contribution embodies a desire for mystical-scientific systems that was not rare in the transitional period between the 19th and 20th centuries. However, more intelligible and perhaps also more influential than most art theories of that time, Concerning the Spiritual in Art is remarkable in its concreteness and in Kandinky’s trust that truth is somehow in or a consequence of his theories. It is hard to read, for instance, his descriptions of the psychology and language of color and not be moved by his insights into the experience of confronting a painting, or be convinced by the certainty of his tone. But what lingers for me after several readings is his audacity in writing a manual concerning the spiritual in art knowing, as Kandinsky must have known, that such an attempt is futile. For me, the merit of Concerning the Spiritual in Art is the negation of Kandinsky’s claims which the book carries as a stowaway within it. His diagrams, for instance, rather than reveal something about the structure of great paintings, show what great paintings are not, precisely because the best work of the best artists can’t be diagramed but occur in the interstices of systems such as the one Kandinsky suggests. Although artists need systems (I say this without defense, for now), even if not necessarily voiced or even consciously understood, art, as supposed to artistic activities, depends on and happens at the edges where the system breaks down. Where chaos begins. Where the system no longer works. The actions of art against systems is what maintains its possibility (and its life) and to the extent that the man or woman of theory lets it happen—always at the cost of tidiness—is that he or she becomes an artist. So Kandinsky’s On the Spiritual in Art presents what art is not. However, to present this as well as he did is not a small contribution. In On the Spiritual in Art, Wassily Kandinsky writes both about the inner necessity of the artist and about the audience learning to look at pictures not only from the outside, but to enter them and move around in them. That is the inner immersive perspective of imagination that has come to shape my approach to an art theory that addresses the influence of the viral form. Please allow me to introduce myself with a drawing I made in 1985 called The Spiritual Life. When I look back at it, I recognize a punk-ironic artist engaged, none-the-less, in re-introducing some kind of subversive, but uplifting, spiritual twist back into contemporary art. Over the ensuing 26 years, my relationship to the spiritual has increased with my immersion into the virtual. The virtual was first inaugurated into my work in 86, and I have worked ever since on—and with—electronic visual information, computers and computer-robotics. From 91 to 93 I was artist-in-resident at the Louis Pasteur Atelier and the Saline Royale/Ledoux Foundation's computer lab in Arbois, France. There, I developed my Computer Virus Project: an experiment with computer viruses as a creative stratagem. In 2002, I extended that artistic research into the field of artificial life through my collaboration with the programmer Stéphane Sikora. That continues to this day. In the last 10 years, my computer-robotic assisted paintings and a-life animations have pictured an electronic-viral-spirit that feeds off the colors of phantasmagorical digital hosts—hosts made up of an excessive concoction of ambiguous sexual body parts morphed from both sexes. This hermaphroditic (perhaps pagan-like) spirituality, for me, brings a subversive involvement to computational media by presenting a poignant phantasmal consciousness that challenges contemporary concerns regarding objectivity, safety, truth, and identity. Ideas of immersive phantasmal consciousness were first introduced to me during my reading of the machinic-media-ecology-philosophy of Deleuze and Guattari as I served as conference coordinator for the 1st International CAiiA Research Conference entitled Consciousness Reframed: Art and Consciousness in the Post-Biological Era held in July 1997. This conference looked at new developments in virtual reality, art, science, technology and consciousness. There I interacted closely on these subjects with Roy Ascott, Victoria Vesna and Bill Seaman. Virtual-spiritual considerations in this context appear in my book of essays Towards an Immersive Intelligence: Essays on the Work of Art in the Age of Computer Technology and Virtual Reality (1993–2006) published by Edgewise Press in 2009. In 2011, my new book Immersion Into Noise will be published by University of Michigan in conjunction with Open Humanities Press. Through contemporary work on immersion, noise, neuro-science, electronics and image forensics, I believe we have a fuller understanding of art’s importance as a sign of transcendence and its power to generate spiritual feelings in a meta-religious context. That is what I hope to further explore with my fellow panelists as we move beyond Kandinsky. Kandinsky believed that he stood at the threshold of a new age and considered Concerning the Spiritual in Art to be a prophetic text that could demonstrate how art could offer sustenance for "hungry souls." The prophetic nature of Kandinsky's text is undeniable. But with a century of hindsight, its prophetic message is not found in its announcement of a new stage the development of modernism but as evidence of its impending death. Concerning the Spiritual in Art is a desperate attempt to save modern art from its self-mutilating materialism, which Kandinsky calls art for art's sake that denied the inextricable relationship between matter and spirit, what he calls "outward form" and "inner need." Kandinsky fails to maintain this connection without the rich theological inheritance that had reflected on the relationship of the physical and the metaphysical that the modern project had squandered and exploited. Yet Kandinsky's relentless efforts as well as the ultimate end of the modern project and the bankruptcy of its materialist vision, should force us to reconsider his arguments in the context of theology. An important part of my work consists of the recovery of the history of theology as an important resource for contemporary art and cultural criticism. I am most recently concerned with the theology and practice of the icon, which is given dogmatic formulation in the Council of Nicaea II in 787 and was shaped by the texts of St. John of Damascus and St. Theodore the Studite. For both of these thinkers, the icon is the embodiment of the intimate connection between the body and soul. It is not insignificant that Kandinsky's vision for the new art included the study and appropriation of Russian and Byzantine icons. Philosopher Jean-Luc Marion has suggested that Nicaea II offers the answer to the contemporary crisis of the image, a crisis that Kandinsky himself experienced. On the Spiritual in Modern Art was compiled from notebook entries made by Kandinsky during the early years of the 20th century when he was living and painting in the midst of the Jugendstil art scene in Munich and, after 1907, in a nearby village. He shared the generational dismay among young artists across the Continent that (European) "civilization" was being destroyed by "materialism," an umbrella term that connoted for them positivism in science, realism in art, the denial of the spiritual dimension of life, and the destructive effects of the capitalist industrialization of society. Because they felt the churches had compromised themselves to appease modern "materialism," the young artists turned to occult teachings for guidance in their quest to save civilization. In spite of Kandinsky’s admiring comments in this book about Madame Blavatsky and her ideas on the spiritual evolution of the human race, he was not a Theosophist. Rather, Kandinsky’s spiritual touchstone was the Russian Orthodox religion. He always kept over his desk a folkloric icon of a Russian Orthodox saint and took as his own patron St. George the dragon slayer, patron saint of his beloved Moscow. To the fin de siècle concerns that gripped the young artists, Kandinsky brought formative experiences and constitutional characteristics that created a fruitful synergy. For instance, the sense that art could be transcendent and deliver people to spiritual refinement fit well with Kandinsky’s childhood experience of being gripped by bouts of "inner tension" (life-long neurasthenia) and finding calming relief in the act of drawing. He also had an extremely vivid sense of color in his surroundings, so the Symbolist notion of synesthesia seemed a logical extension of his own experience. (He notes in the book, "The sound of color is so definite….") Most importantly, he never lost the perception from early childhood that all objects and beings have an inner reality as well as an external form. Hence encountering the Theosophical teaching that a powerful invisible reality informs the material plane rang true for him. The sense that the spiritually subtle realm exceeds the limits of words also fit well with the mystical and symbolic (rather than doctrinal) emphases of Russian Orthodox religion, especially involving the icons. Finally, Kandinsky shared the widespread fascination of his time with nonmodern cultures (free of "the nightmare of materialism," as he put it); he wrote in On the Spiritual in Art of "our sympathy, our spiritual relationship, with the Primitives." He studied ethnology (as well as law and economics) at the University of Moscow and made a research trip to study "peasant law" and the "remnants of heathenist religion" among the Zyrian people (a Sami culture) in the far north. There he had a formative experience in "those wonderful houses" that influenced his art and thought for the rest of his life: "They taught me to move in the picture, to live in the picture. I still remember how I entered the room for the first time and stopped short before the unexpected vision. The table, the benches, the great oven…, the wardrobes, and every object were painted with bright-colored, large-figured decorations…. The same feeling slumbered within me, unconsciously up to then, when I was in churches in Moscow and especially the great cathedral of the Kremlin." It is possible that he acquired an interest during that trip in the role of the shaman. It is likely that his little-known "Tartar blood" (his paternal grandmother was a "Mongol princess" from eastern Siberia near Lake Baikal) brought an existential dimension to his engagement with the "Primitives." In Kandinsky, then, we see a remarkable fit between personal propensities and the currents of his time. Poignantly, for he suffered as well as triumphed, he observed in the book that the artist who seeks expression of the internal lives "a complicated and comparatively subtle life." Rereading Concerning the Spiritual in Art now, I am struck by the degree to which it reads as an artifact of its specific time, at the beginning of modern art. Kandinsky cautions us about this in the first words of his introduction: "Every work of art is the child of its age and, in many cases, the mother of our emotions. It follows that each period of culture produces an art of its own which can never be repeated. Efforts to revive the art-principles of the past will at best produce an art that is still-born." That warning should give us pause as we attempt to go "Beyond Kandinsky." For Kandinsky, there was another kind of art, "founded on fundamental truth," with a "similarity of inner tendency in the whole moral and spiritual atmosphere," and made by artists who seek to express in their work "only internal truths, renouncing in consequence all consideration of external form." Concerning the Spiritual in Art is a manifesto (in an age of manifestos) for this kind of art: non-objective, non-materialist abstract art against "mere representation, however artistic." The enemy of this kind of art is "the nightmare of materialism," wherein our minds are "infected with the despair of unbelief, of lack of purpose and ideal," and which has "turned the life of the universe into an evil, useless space." In the "Spiritual Revolution" chapter, we see Kandinsky as the political economist he once was, railing against the false gods of Socialism and Science. I don’t remember when I first read Concerning the Spiritual in Art (I think it was relatively late, in my early twenties), but I remember being torn between gratitude for the attempt, at least, to speak of the soul in a modern context, and disappointment at its manichaeism and the sometimes turgid prose (at least in M.T.H. Sadler’s English translation). And I recoiled from Kandinsky’s presentation of the spiritual as a kind of pyramid scheme, at the apex of which stands the lone genius, the visionary, "solitary and insulted" (he uses the example of Beethoven after the 7th Symphony), with others arranged in descending order according to their talents, as "spiritual food" trickles down from above. This is, in part, the language and imagery of Theosophy. Madame Blavatsky ends one of her books with this prophecy: "The earth will be a heaven in the twenty-first century in comparison with what it is now." Kandinsky quotes this approvingly, and says "there has never been a time when the arts approached each other more nearly than they do today, in this later phase of spiritual development." This with two world wars, Shoah, and a multitude of other horrors to come. The extreme poignancy of those prophecies descends on us now not like "spiritual food," but like the broken shards of the Modernist dream. My concern and interest in the spiritual came as a result of a search for a way to deal with extreme introversion, which I began to experience as a child. This introversion resulted in an overwhelming sense of alienation. A corollary to the alienation was an apprehension regarding mortality, which began when I witnessed the death of my grandfather. When I was four, I had my first experience of "ecstasy." My eyes were suddenly struck by sunlight reflected off a green wooden gate at my grandparent’s country house. I still remember that the vision stopped me in my tracks. Unable to move I contemplated forms bathed in colored light. The experience was uplifting, joyous, in contrast to the overall sadness I felt around me. Born in Poland, I moved to Tunisia as a teenager, finally immigrating to the U.S. at the age of 19. My sense of alienation and fear of death followed me throughout. I realized that external changes are powerless in alleviating my condition and resolving my doubts. I tried drugs and therapy, but only through meditation on the breath was I able to touch something beyond my constricted sense of self. Later, with hesitation, I started to practice meditation in an organized way, in the context of Tibetan and Zen Buddhism. Making art for me springs from the inner experience, or what Kandinsky refers to as "inner need," although the categories "inner" and "outer," strictly speaking, do not apply when one is fully absorbed in what one is doing. Perhaps, instead, I could say that my art arises from attention.